Renting a rental car usually serves the purpose of fulfilling a clear goal: whether you want to be mobile on holiday, need to move, need a bigger car for a trip or are simply looking for a replacement for the private car that is currently in the garage. Especially on Mallorca many of our customers rent a small car because they come with this car through (almost) every Spanish alley. Be mobile at home or on holiday without straining your purse or your travel budget: For this you can rent a small car - our cheapest car rental category in the price comparison! Cheap travel with a small car - but beware of extra costs! For example, it is advisable to choose good insurance cover for the insurance of the rental car when you book a rental car in the small car category. Otherwise, it can quickly become expensive in the event of damage. We recommend a comprehensive insurance without excess. The car rental offers with insurances without excess are usually only slightly expensive - but save you a lot of money and trouble in case of emergency! In addition, you should also book the insurance supplements for glass, tyres and underbody. 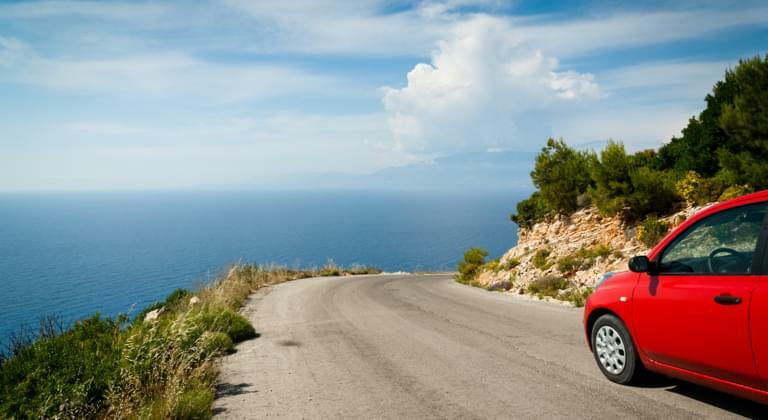 Especially if you rent a small car for your holiday, it is worthwhile to take out these additional insurances depending on the destination and road conditions. You can easily activate all insurances during the search via the filters and thus list all offers with the desired insurances including. Another point that often leads to annoyance and additional costs is the fuel tank regulation: Here there are the tank regulations Full-Full - which means accepting the rental car with a full tank and returning it with a full tank. In this case, it is important to refill the tank before delivery, otherwise you will be charged a service fee which may be higher than the current fuel prices. The Full Empty rule describes the rental car reception with full tank and return with empty tank. Annoyances arise here if possible remaining quantities in the tank are not refunded by the landlord upon return. In addition, the landlords are often asked to pay a flat rate for tank filling, which does not correspond to the market prices. The preferred arrangement is always the full-full regulation. This is also available to you during the rental car search as a filter function for the inclusive services with the designation "fair tank regulation". If you are planning to drive longer distances, you can immediately opt for a rental car offer with an unlimited number of kilometres included, otherwise you will be charged for every additional kilometre driven. Both examples show that a lack of included services in the offer can rapidly increase the favourable price afterwards. For this reason, we recommend that you select the relevant inclusive services directly when making your booking using the filter function. Additional extras such as navigation systems and child seats are not included in the price and must be booked separately. Another tip: Please note that a small car is indeed very limited in terms of boot size and storage space. If you are travelling as a family or with several suitcases, a mid-size estate or larger model with space for your luggage is the better choice of car rental. If you want to be on the safe side with regard to costs even in the cheapest car rental category of small cars, we recommend you to choose our price-performance winner offer. Here you have comprehensive insurance cover and the most important services included. In addition, the price-performance-winning offers are only available with our premium partners, who are characterized by a very high level of customer satisfaction as well as excellent customer service and handling of complaints.